No one understands the steel building industry better than Duro. We've been trusted worldwide for decades. Let me begin by saying that I am delighted to be of consideration for your building project. 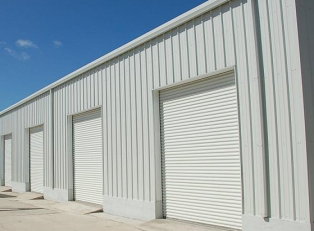 I hope to earn your business and in return, myself, along with Duro Steel Buildings promise a prestigious Steel Building that will provide years of trouble free operation. I joined the Steel Building industry in 1993 and since then I have never looked back. One thing I learned was how to appeal to an elite group of people. You see, I don't believe that market share is the Holy Grail. A segment of our market goes cheap, sometimes too cheap, but there's also a segment of the market that wants a product and a company that surpasses their needs, and The Duro Group wants to earnestly compete for those customers. I'm not going to lose sleep over that other market share because it’s just not who we are. Fortunately, this market is of a tremendous size and there are ample people that care and want a great experience. Our goal is to provide the best steel structures and doors, worldwide -steel buildings and doors that you would be proud to recommend to your family and friends, and that's why we have been a leading steel provider for almost 24 years. And just like the day we started, we are still family owned so you can rest assured that you will be treated just like family!